While you might be strapped for time during the academic year, summer offers plenty of opportunities to boost your résumé with some real-world skills. 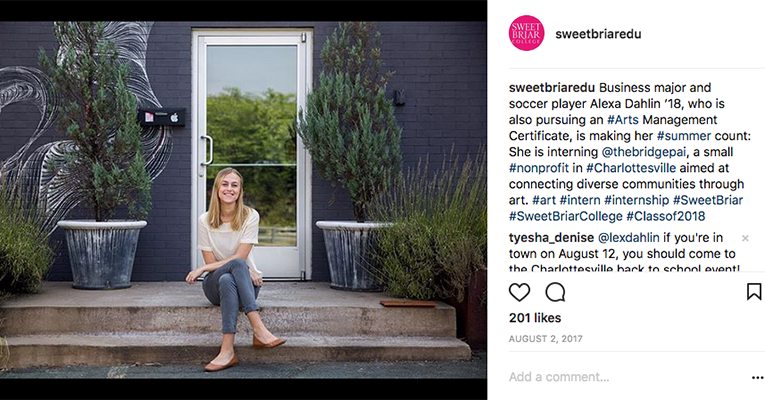 Take a look at some of the jobs Sweet Briar students landed last year! 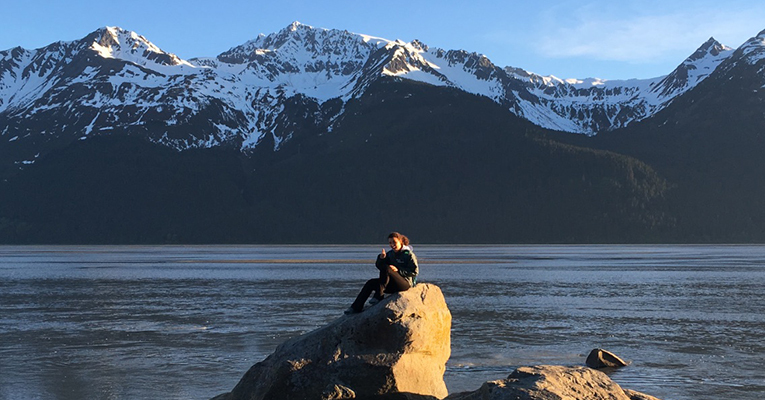 Psychology major and dual-sport athlete Elizabeth Phaup ’18 traveled to Alaska to work as a sea kayak guide. 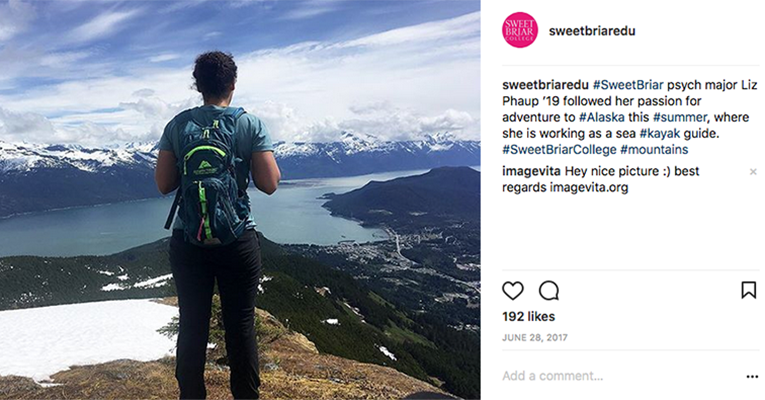 “The scenery up here is incredible — it’s so beautiful, it often doesn’t seem real!” she told us. Meanwhile, English and creative writing major Emma Thom ’18 completed a Virginia Business Magazine Journalism Internship — before heading to England with the Virginia Program at Oxford. Alexa Dahlin ’18, a business major who is pursuing an Arts Management Certificate, spent her summer in Charlottesville helping The Bridge Progressive Arts Initiative with fundraising and event management. Government major and journalism minor Mattie Nicholson ’18 interned in Harrisburg, Pa., with the Ridge Policy Group, a bipartisan government relations and issue management firm. 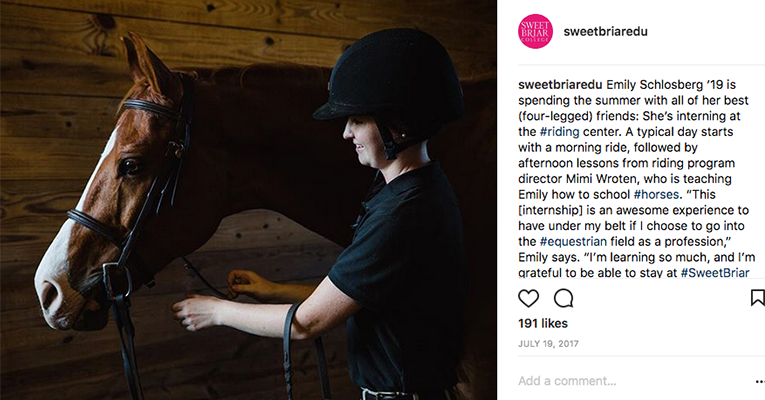 Psychology and sociology double major Emily Schlosberg ’19 spent her summer interning at the Harriet Howell Rogers Riding Center on campus — a dream come true for the IHSA team member. 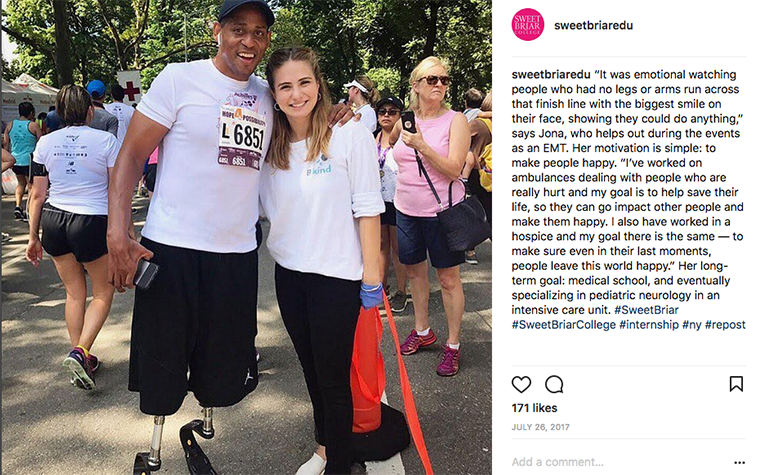 Six hours north, Jona Cumani ’18, a psychology major on the pre-med track, worked as an events and sports medicine intern with MedPrep Consulting Group in New York City. Some colleges prioritize juniors and seniors for career services. 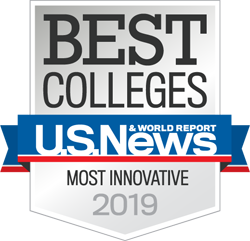 At Sweet Briar, Director of Career Services Barb Watts will work with you from the very start to secure relevant internships throughout your entire college journey. Visit our career services website to learn more!